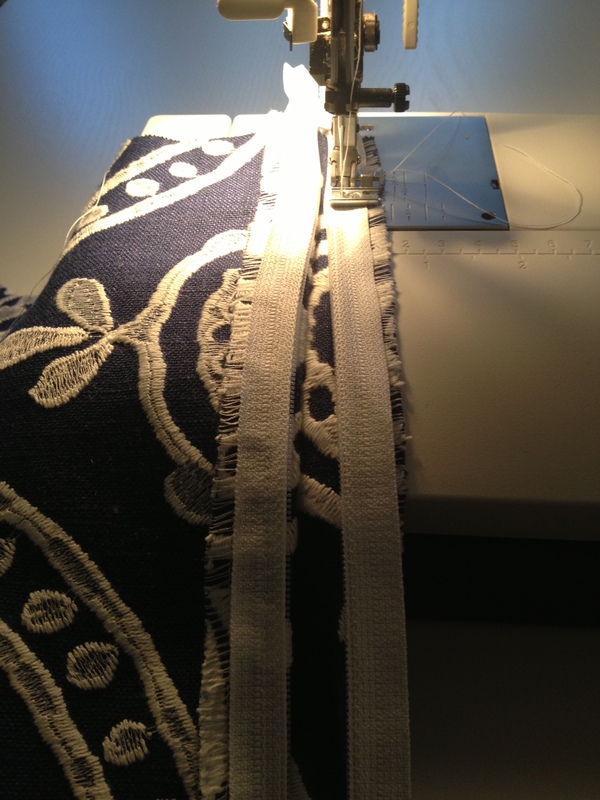 How to put a simple zip into a cushion! 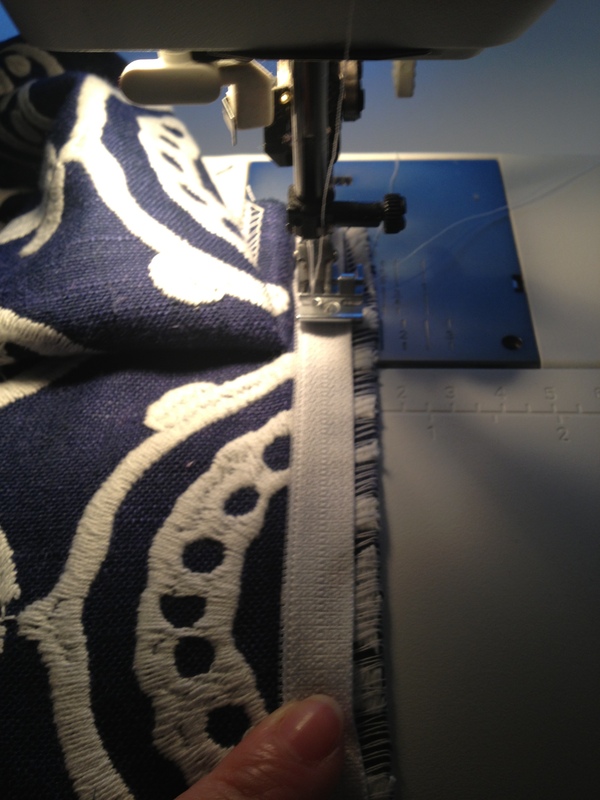 I’ve been promising all my lovely students that I would do a step by step guide on how to put a zip into a cushion. It’s actually one of the workshops that I do so why not join me if you can! 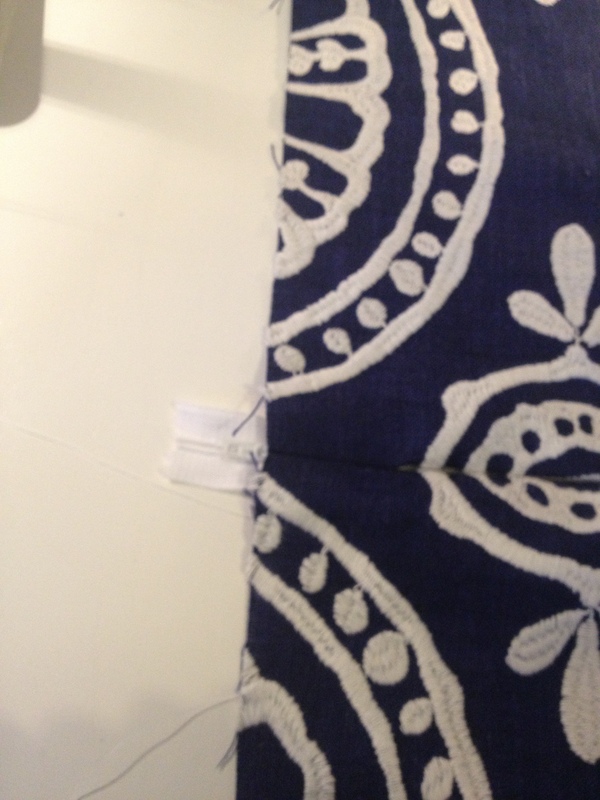 For those that aren’t able to join here is a very very simple way of putting a zip into a cushion. It will change the way you think about zips and using your zip foot and soon you will be whizzing up cushions for every room in your home! 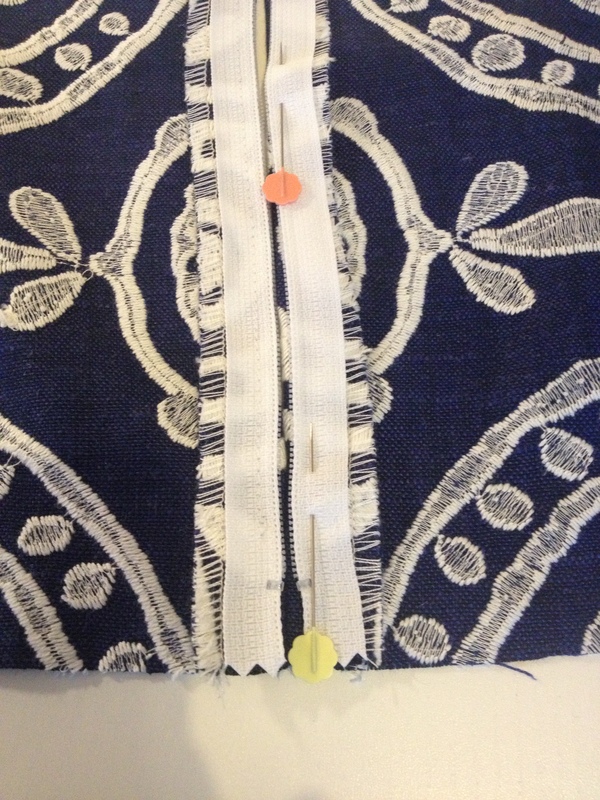 This technique means that you are putting the zip into the bottom of the cushion. 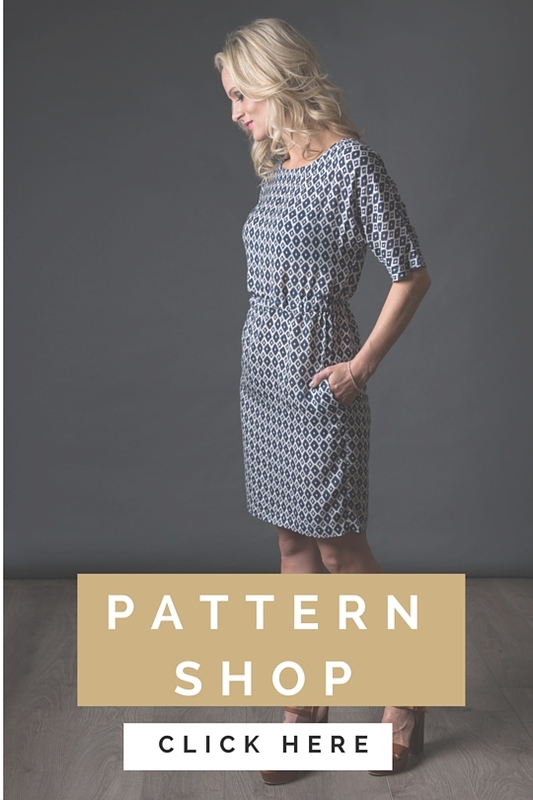 You can therefore have a different front and back fabric so that you can swop and change them around (essentially there is no difference between the back or front). 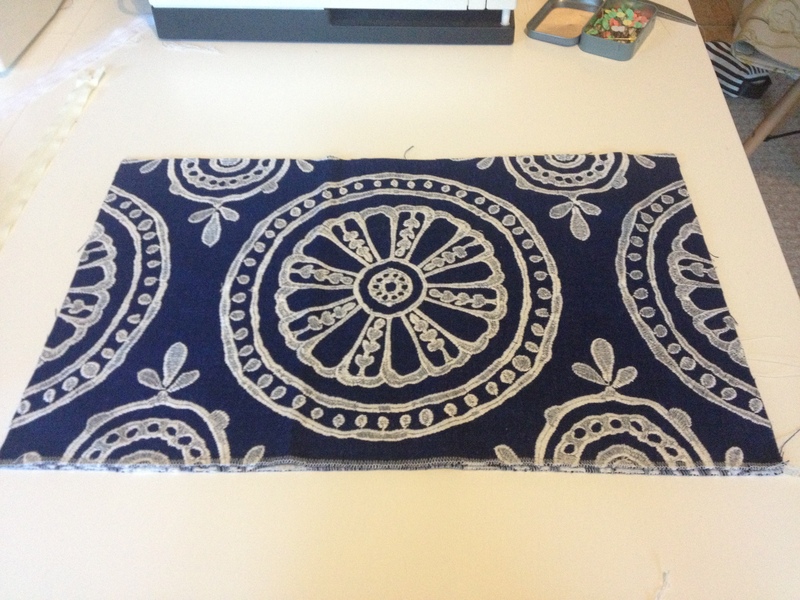 Measuring example for a 45x45cm cushion: If you cushion inner/pad is 45x45cm then your cover should be 2cm smaller (to make it fit really snug). 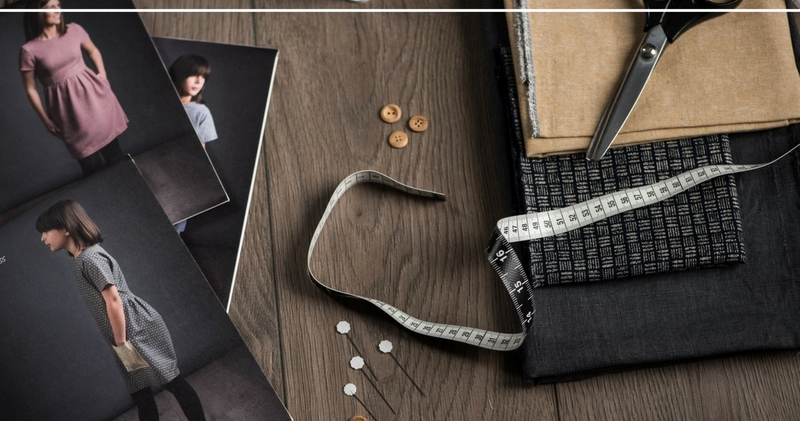 You will need to add 1.5 seam allowance all the way around the cushion. 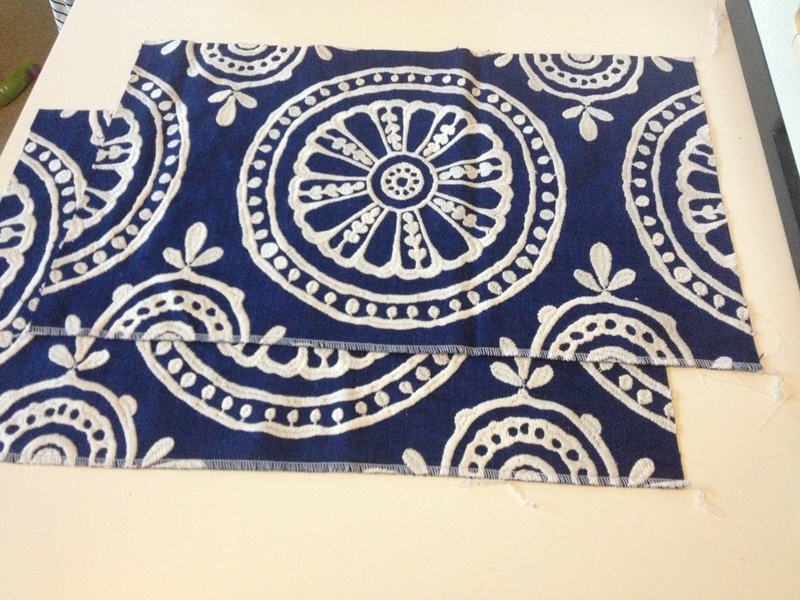 So 45x45cm minus 2cm = 43x43cm (finished size) then add seam allowance 1.5cm = 44.5×44.5cm (this is the size you will cut the fabric). 2. Zipper – your zip should be the same length as the bottom of the cushion (as the zip goes into the bottom of the cushion). 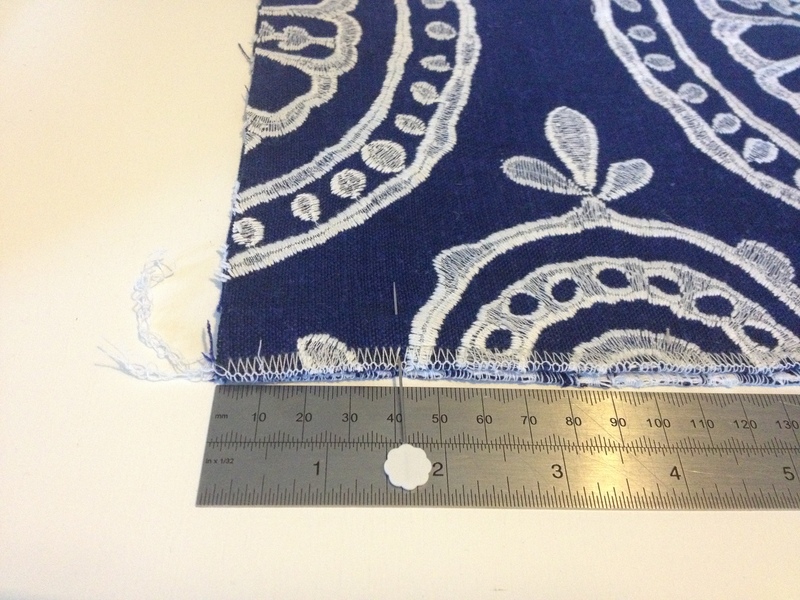 Example: If you cushion is a square 45x45cm your zip should be 45cm. 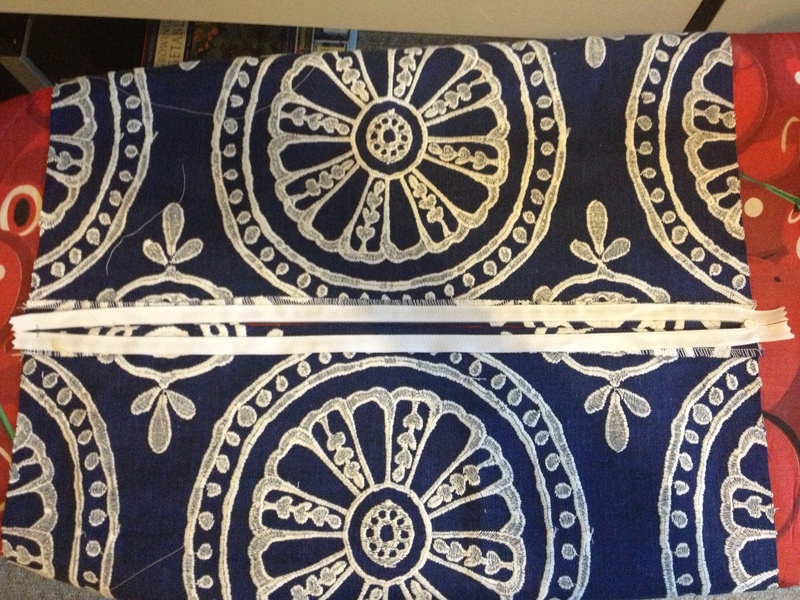 If your cushion was 45cm length x 35cm wide your zip would be 45cm. 3. Cotton, sewing machine and your zip foot !! 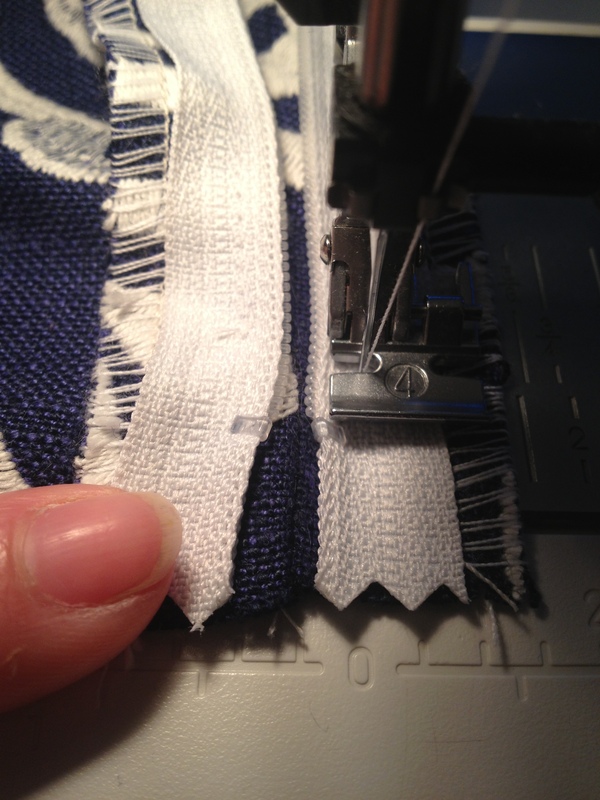 Start sewing at 3 cm from the top (very important! – don’t start all the way from the top of the zip. 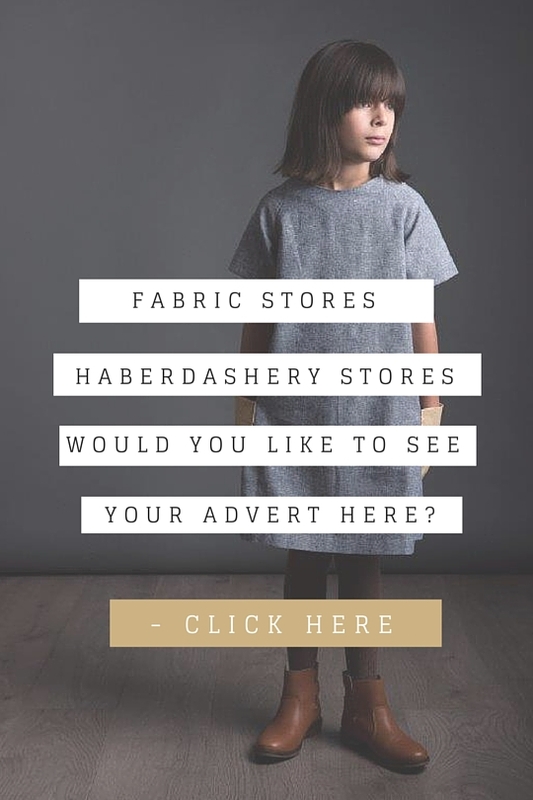 Even though the top of the zip will be flush with the top of the cushion you only want your stitching to start 3cm down – you will see why later). The zip foot is resting up against the teeth of the zip. 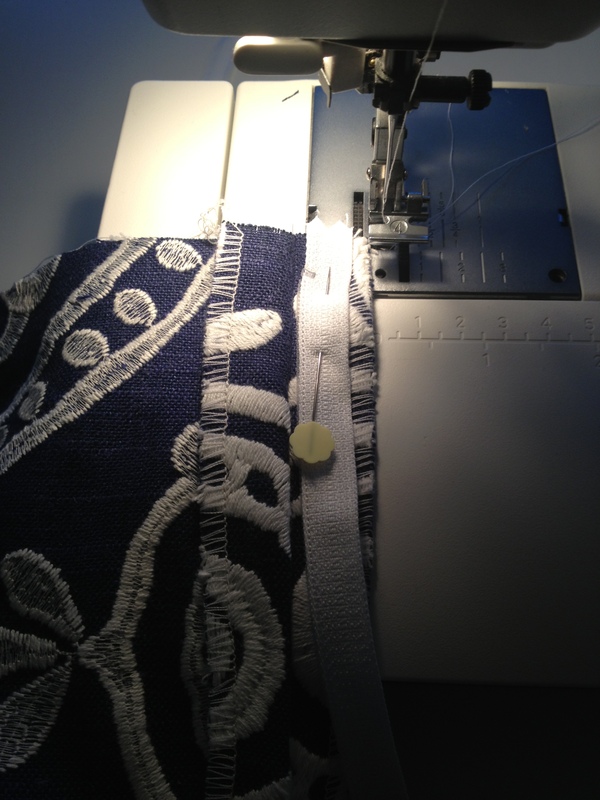 Stop sewing 3cm from the bottom of cushion. 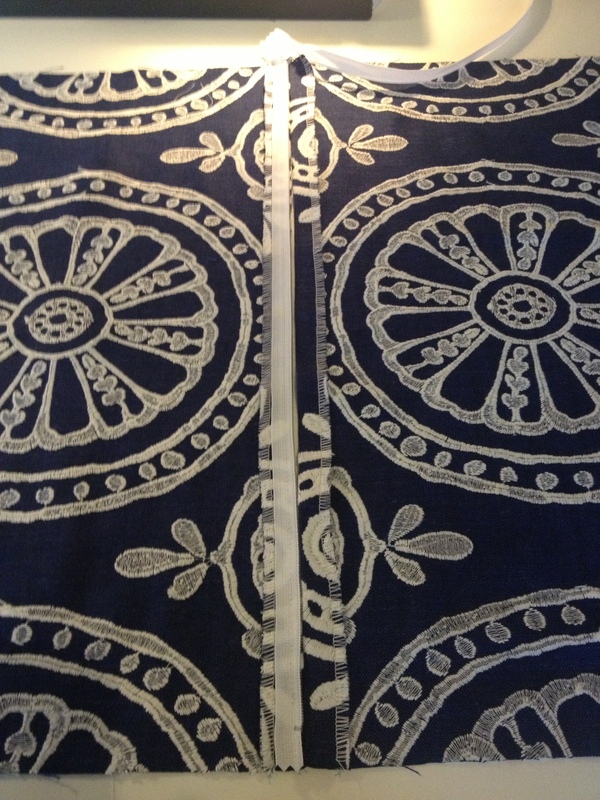 TIP – remember when you ironed it? 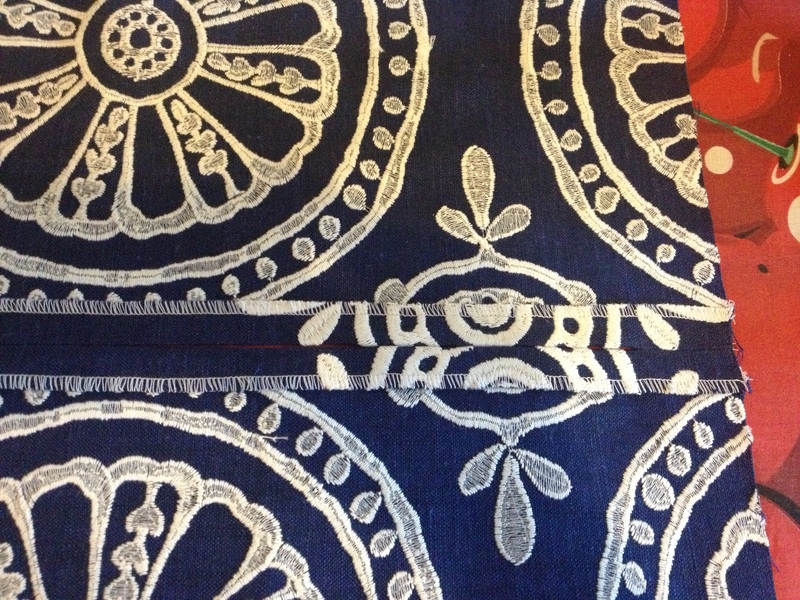 Can you notice that it’s made a “line” mark on your fabric. You can rest the zip against this line to ensure that it is straight. Now you can sew down the the other side. Remember to start 3cm from the top and stop 3cm from the bottom..
See how nicely the two ends meet? This is very important. Guess what? You zip is in! How easy was that?!?!! 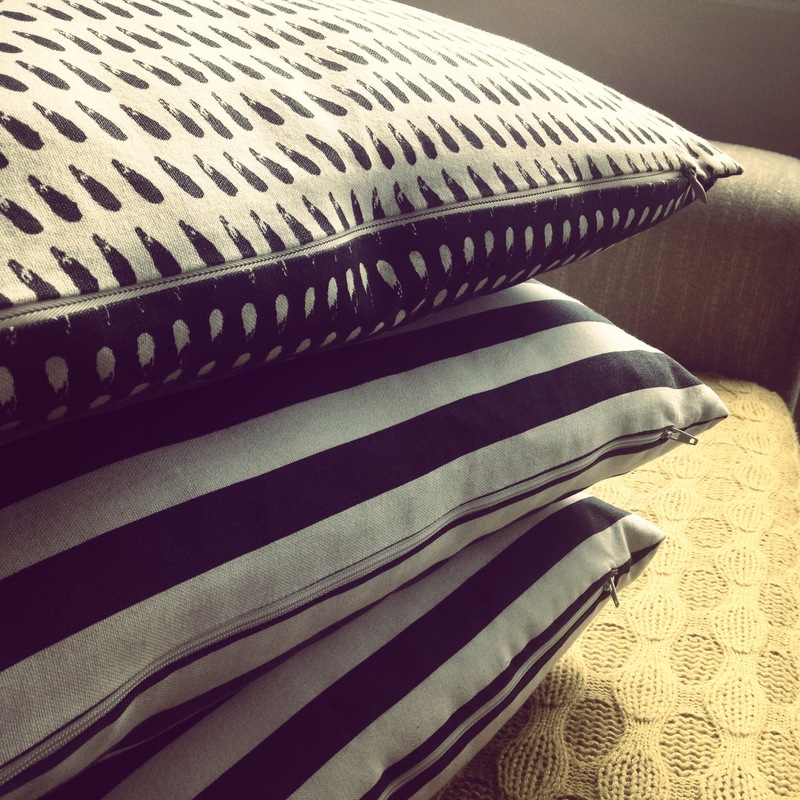 Open out your beautiful cushion and marvel at the beauty and simplicity. 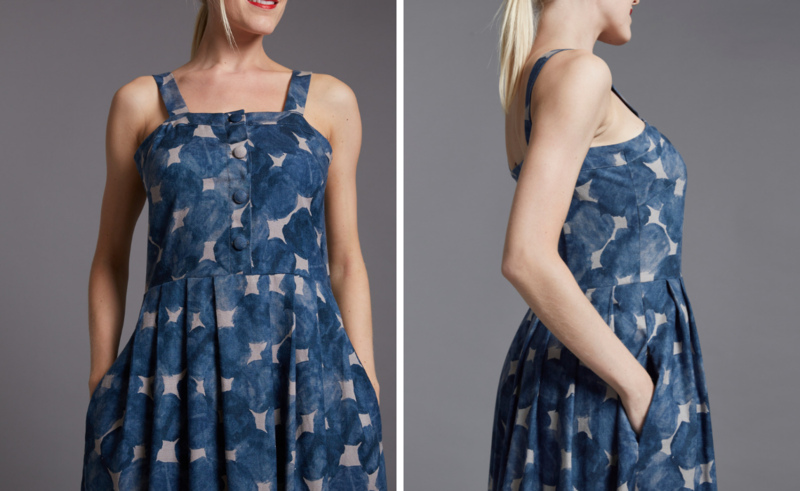 The best part is that you don’t see any stitching – so pretty!! Let’s finish this cushion!. 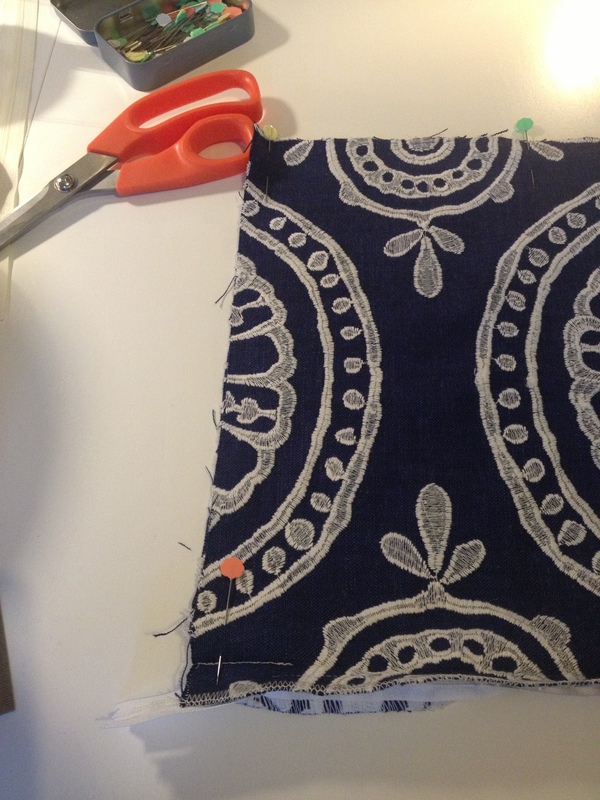 Fold your cushion right sides together and pin all the way around. 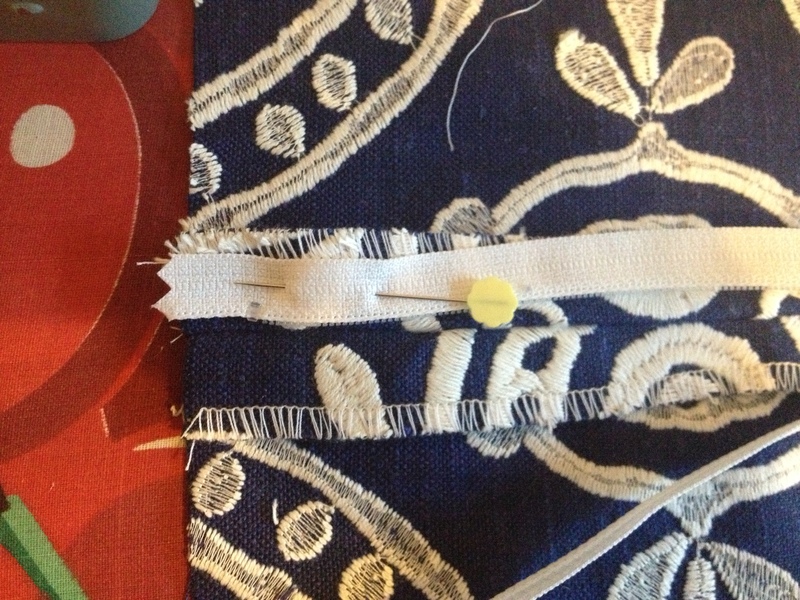 Starting at the one side sewing your cushion pivoting at the top, using a 1.5cm seam allowance. Now if you only started your zip three cm’s from the top and bottom you will see how easy it is to sew the sides together – without having to sew over the zip at the bottom. Turn your lovely cushion around and it’s done! How easy was that?